What this means is that the physical expression of your muscles is fueled by the “electricity” produced by your central nervous system. With this understanding, you realize how important it is for your nervous system to be functioning effectively. This means there is a smooth line of communication between your central nervous system, the peripheral nervous system and the muscles and organs it innervates. Often, though, we find that the nervous system will drive unequal amounts of energy to different muscles in the body. You experience this, for example, through muscular tension located in the upper back and neck during times of high stress and fear. This muscular tension is normal and natural, the problem is when it becomes chronic. When these muscular tensions become unconscious, through chronic repetition, we will tend to hold this tension without even realizing that are doing so. You may have heard me call this unconscious muscular tension “neurotic holding patterns” . By unconsciously holding this muscular tension we drain our nervous energy reserves, this inefficiency often leads to lethargy, muscular imbalances, poor breathing habits, poor posture, and a host of other physiological and psychological dysfunction. Have you ever felt tense and tired at the same time? If so, you have experienced the type of neurotic muscular holding patterns that I’ve described. In my experience the best way to rid ourselves of these neurotic holding patterns and free the nervous system to express itself fully throughout the entire muscular system is with Bioenergetic Exercise and Dynamic Meditation. Bioenergetic exercise is a form of mind-body exercise developed by Alexander Lowen. You can learn more about the science of Bioenergetics through this book, as well as all of the publications by Bioenergetic Press, a company owned by my mentor Dr. Robert Glazer. But if you’re looking to get started right away I’ve created this video featuring several bioenergetic exercises combined with athletic warm-up movements. I’ve also created this video which features stretches and exercises designed to improve your posture and deepen your breathing capacity. Like I’ve always said you got to breathe into your balls, And this video will show you how. Finally, I like to use the following Active Meditation, developed by a man named OSHO. 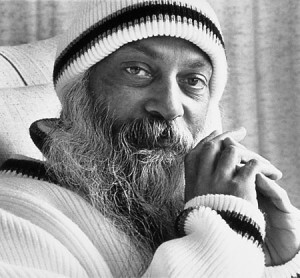 You can learn more about OSHO and Active Meditation at this website. If you are committed to becoming the strongest version of yourself, then you must consider all aspects of strength. I have boiled these aspects of strength down into what I call The Four Layers Of Strength. Today we have explored aspects of the third layer of strength, which I call Energetic Strength. Energetic Strength is all about how the brain and central nervous system impact the stature and expression of your entire physical organism via the energy it produces and how it characterizes itself through your body.